A blogger recently asked me this question. He wanted some general tips he could give to newer FCs for them to improve. In order to respond, I naturally looked at the examples of people who I personally considered to be higher tier from my perspective. However, I noted that whilst they all had similar qualities, they also vastly differed in their methods and in how highly they prized these qualities. This intrigued me, so I dug a little further, looking mostly at FCs from my own bloc for examples. What I found was that, fundamentally, there are three qualities all successful FC’s share – be it consciously or subconsciously – that allowed them to operate so well. The first one is fairly obvious – the mechanical aspects of being an FC, the work even people who’ve never been in a fleet can understand. From the most basic aspects of target calling and anchoring, to fleet compositions and utilising escalation theory effectively, the micro and macro of FCing in this area has been extensively written about. It is also by and far the most easily quantifiable of these qualities, measured simply in how many fights an FC has won vs. how many they’ve lost. 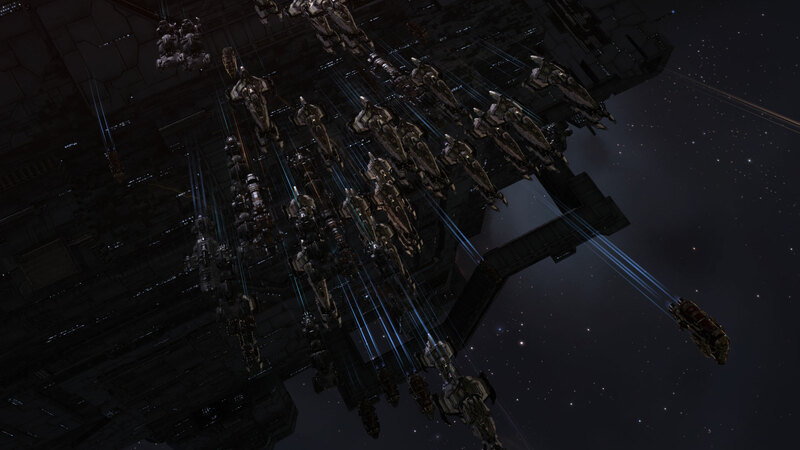 A good example of an FC that is very talented at a mechanical level is progodlegend, who can utilise a fleet – even within TEST – to a very high level on the battlefield. However, many new and even veteran FC’s will focus on this area of FCing. I am particularly guilty of it, watching footage of my own fleets and analysing the mistakes I made and how to improve, especially in my losses, even when that wasn’t the most effective path for improvement for me to take. The second area is something that is often mentioned, but rarely analysed about FCs: Their abilities not just as in-game leaders in the mechanical sense, but as social leaders that facilitate and drive the people who join their fleets. The most notable point of this is how an FC is able to soften the blow of a stinging defeat to the people who joined into the fight. Almost every FC has their own way of doing it, from outright abrasiveness (see; DurrHurrDurr), unconditional optimism (see; corebloodbrothers) to denying the enemy’s tactics as ‘fair’ (far too many to count). This shows that FCing is not merely – as a similar position in other games might entail – about knowing the raw mechanics of the upcoming encounter, but a much more adaptive social position of that as both a leader and as an entertainer. After all, an FC can have all of the mechanical skill and knowledge in the world, but if they are no fun to fly with, they will eventually end up with no fleet at all. The most notable example of an FC who excels in this area has to be in my opinion, DaBigRedBoat. Whilst I personally may not enjoy the style with which he FCs, he manages to keep an incredibly dedicated core of pilots, who will fleet up to die with him over and over again, and enjoy every second of it. In the end, as much as some people will refuse to admit it, having fun is the end goal of playing video games. The third and final quality that is shared between all competent FC’s is that of preparation. Rarely spoken of publicly, but something that almost every FC does, even if it’s not consciously so, or even offloaded to other people. Planning a good route, laying a trap, or talking to enough people that you can find out just what timers are going to be fought over are all fundamental parts of providing the content that allows one to use the previous two qualities. But, equally, this covers things such as theorycrafting new doctrines, or deciding on how to combine forces with allies to fight effectively. It is something that drastically increases in importance with the greater difficulty and greater scale on which an FC fights, and is the main reason for FC burnout during wars. The workload required to meet 3-4 fleets a week – let alone daily – on a bloc scale can reach 20 hours of commitment a week easily. Even in roams, this base work is important. Researching and knowing what the local entities are likely to bring, the systems they are likely to have camped, having pings and safes set up – all of these things help make the fleet both more entertaining and more effective at finding content. A great example of an FC who excels in this area is Lord Maldoror, who is able to not only organise and plan for fights, but also innovate and implement tactics when traditional methods would not be sufficient. Any FC will have these qualities to some degree, however, it is important to understand that all three are critical to being effective on any level, from small gang to sov defence. It can be worth taking some time to see what qualities you as an FC hold (and conversely, do not hold) in the highest regard, and use that to improve your game. I know that when I began FCing, I all but abandonned the social aspect of it, focusing entirely on the planning and execution of a fleet. Over time I’ve been able to improve that aspect of myself, which has greatly improved my ability to both enjoy, and win fights. I hope that by talking about this, new or aspiring FCs will understand the nuances that goes into FCing other than the mechanical, and be able to self-criticise and strive to improve their other areas. However, older FC’s should refresh themselves on these as well, as combining all three is what separates a functional FC from a truly great one.